The latest release of MovieScore Media reunites the label with composer Johan Söderqvist. Erik Poppes film The King’s Choice is a historical drama, telling a fateful episode of Norway’s history. On the 9th of April 1940, the German war machine arrives into the fjords of Oslo with the warship Blücher. Norwegian monarch King Haakon VII faces a choice that will change his country forever. While the German invaders strongly advise the King to nominate Norwegian Fascist-leader Vidkun Quisling as the prime minister, the king together with his government makes a brave choice. 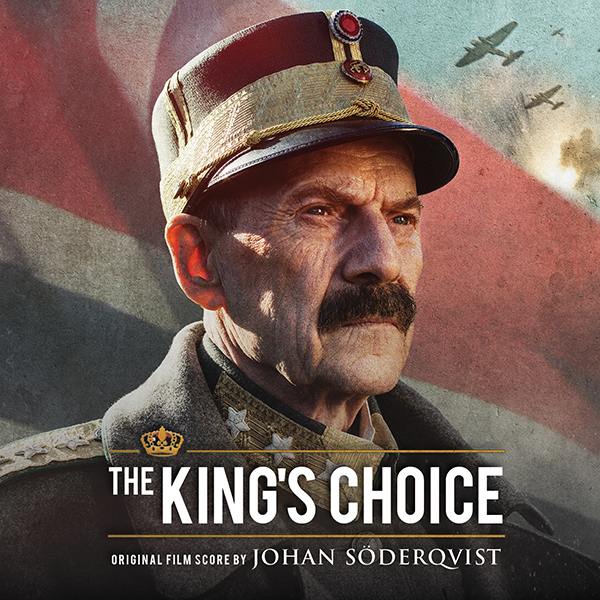 Starring Jesper Christensen (recently seen as Mr. White in the James Bond movies), The King’s Choice was the official submission of Norway for the 'Best Foreign Language Film' category of the 89th Academy Awards and the score won Norway’s eminent film music award, The Amanda in 2017. Johan Söderqvist is one of the busiest and most successful Scandinavian composers. He has collaborated on a regular basis with Danish director Susanne Bier for whom he scored Brothers (2004) the Oscar-nominated After the Wedding (2006), the Oscar-winning In a Better World (2010) and the romantic comedy Love Is All You Need (2012) – the latter two albums were released by MovieScore Media. His other credits include the Oscar-nominated Kon-Tiki (2014), the British/American horror The Limehouse Golem (2016) and the cult classic vampire film Let the Right One In (2008), another MSM release. More recently Söderqvist has been working closely with Patrik Andrén on the video game Battlefield 1.